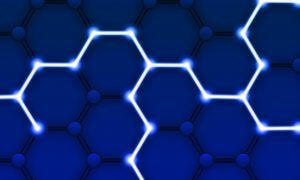 Blockchain technology (also known as DLT- Distributor Ledger Technology) has been a recent champion topic in the business and finance news, as blockchain technology has the ability to display a detailed selling and purchasing transactions overview. In other words, blockchain is best described as a payment tracker. In the World Economic Forum, the Asians will use blockchain technology to store 10% of GDP in year 2027. 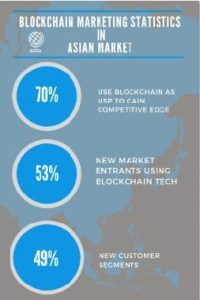 According to the Global Market Insights report on blockchain marketing in Asia, blockchain marketing has become the new internet in the Asian countries as well. 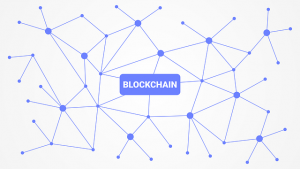 It is predicted that in the year of 2024, blockchain marketing will have the estimated input of $16B net worth. 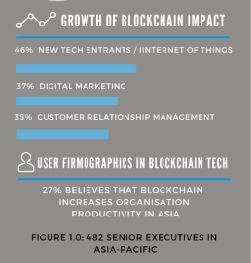 Records from Cognizant Reports have shown that Asians has become the prominent directors in blockchain technology innovation, surpassing blockchain marketing implementation in the Western region. 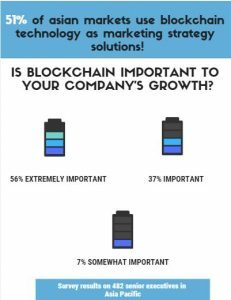 Even with this supporting verity, blockchain marketing has been the source of controversy on the implications to contribute to a better digital marketing future. This is because blockchain marketing is an idea that marketers prefer to put under probation because of its high potential which accompanies a high risk, as blockhain technology is considered as the new market entrants. To the digital marketers, harnessing blockchain technology to their business landscapes is like taking a bet in the casino grounds. The prime fear lies in the cyber security threats in which it poses in cryptocurrency, especially in the news circulation of cryptocurrency being able to trace detailed transaction records and not being able to know the real identity of the other party behind the transaction (because cryptocurrecy only operates online), which is susceptible to third party fraudulence that can also become a potential benefit to the white-collared criminals. CRO of DoubleVerify, Mark Pearlstein’s statement is a direct reflection of every business’s fears, that with the increase of the advertisement of cryptocurrency in the news headlines, this has also increased the business flop of losing money to digital ad hoax which is categorized as a money-laundering crime act. Pearlstein added that marketers ought to be reassured that they are not investing in fake ads that cannot gain target markets outreach. However, there is one thing that most digital marketers didn’t know. It is that cryptocurrency has one way to address its risks, which is none other than blockchain encryption. 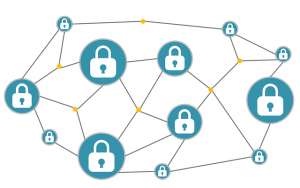 Blockchain encryption is the assurance of data transparency yet safety-guaranteed, because with the encryption, blockchain does not require tracking cookies to store consumer data to trace consumer buying habits. Before that, we discussed on fake ads in cryptocurrency. Now, we address the digital ad fraud solution in blockchain encryption. Blockchain solutions like Adchain can detect and remove fraud ads, which prevents people from being cheated and prevents money laundering activities, which is a big thumbs-up for the digital marketers. Instead of being a trust discrepancy, blockchain is the voice of human and privacy rights, whereby clarity is the channel to bridge the gap between the government and the communities. From this, it will gain trust of the online visitors. Especially for startup businesses, it is not easy to build transparency and credibility within a short time. 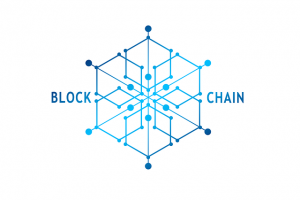 With blockchain marketing, it will provide the visitors detailed information about the website of a company which they are visiting, and thus this will create transparency in the particular company’s businesses, and blockchain marketing with its lie-detector tracking abilities prevents any companies from lying because all the information will be exposed to visitors, where consumers have the full access to the supply chain of a retailer. Creating an effective digital marketing campaign is something that involves strategies and also, streak of luck to gain recognition. This is because tracking the keywords that are most used in the SERP is a hard-to-do. Moreover, localizing a content marketing is also a challenge because digital marketers are not revealed of the organic number of a specific keyword search. So, as blockchain is a database search, blockchain marketing has transformed the Google search, which is that the digital marketers can know the real number of searches for that particular keyword, which provides measurability and scalability of keyword searches. Simultaneously, knowing of the keywords typed by target audience assists digital marketers to identify the target audience and drive those intended target audience to take notice of the blog site even better. 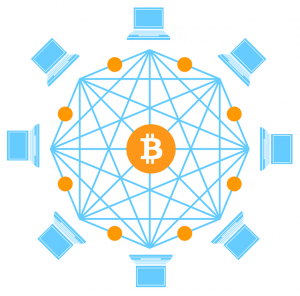 By this, blockchain marketing will be the to maximize visibility in their content marketing, thus helping to boost SEO position in the SERP, which also increases the CTR and drive conversions in the form of converted clicks. In other words, this will maximize profit. Not only so, this strategy is an ideal solution to reduce cost, because when your website gains a good ranking, it will decrease the CPC (cost per click). Moreover, your article will stand out from the clutter of websites competition. When your website gains higher visibility and transparency, people will come to know of your brand or website more, and thus other bloggers will create backlinks to your website by relating your blog content to their blogs by inserting links to your blog site. Furthermore, this aid the digital marketers in data control of their content marketing, which will be much easier for the digital marketers to gain more leads in a shorter time, thus achieving a broader market reach in digital marketing campaigns. Instead of depending on resumes and CVs to hire job applicants in the inbound team, blockchain has the access to the applicant information and storage of candidate database using the authentication system which is a great help to lower the hiring cost for the managers. Not only so, this also cuts the cost in hiring HR administrative and the management teams as well, especially in startup companies. With blockchain technology, it lowers the risk of hiring the wrong person for the job just by merely judging a candidate based on the resume and CVs, Instead, blockchain will have the open system access to the candidates’ history in the aspects of the fields of expertise, education level, previous jobs applied, past job scopes as well as testimonials of the candidates. Blockchain marketing has been known as a trusted medium, which is a good asset to strengthen the customer relations with the companies due to authenticity. This is because blockchain marketing does not need a go-between party to use micropayments on third party websites like Facebook to gain brand identity. Not only so, customers will recognize the website of the particular company as legitimate site because blockchain validates the clicks of the transaction between the merchants and the advertisers, allowing a trusted transaction process. 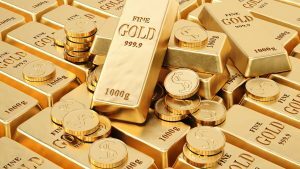 Not just this alone, it saves the unnecessary transaction budget because eliminating mediators will boost profit of the advertisements and marketing campaigns as well. The more trustworthy the company is, it will gain a higher inbound traffic because of the fact that consumers will give direct payment to the company itself instead of going through the social media access first, which saves the cost of social media marketing efforts at the same time. As digital marketing use cost-efficient strategies in default, blockchain marketing is just about every company’s solution to higher profitability and productivity using lowered budget spend in digital transactions with third parties. Adding on, blockchain technology does not need users to pay to software or any processing services as the middlemen. 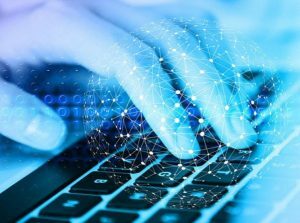 Aas mentioned, blockchain uses big data to trace customer search queries. For this alone, blockchain is the means to conduct database marketing as well, whereby tracking the most used search queries will help digital marketers to understand the consumer behavior and the psychographic needs of the consumers all at once. Once the digital marketers have a detailed understanding of the consumer behavior and demands, this will be an advantage for digital marketers to strengthen the CRM, thus heighten the possibility of customer return. Additionally, database marketing in blockchain marketing strategy helps digital marketers to introduce products or services in relevance to the customer demands and needs, which also omits the irrelevant result search for the consumers. 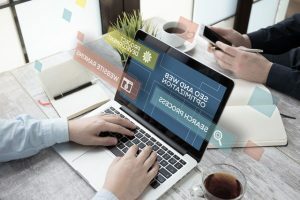 This will drive more clicks, converted clicks and also the CTA in a more convenient and cost-effective way, rather than relying on social media marketing to gain traction for your brand, which is what most digital marketers do. Even without social media, blockchain is already the means for digital marketers to conduct effective branding. Patron has been Japan’s pioneer in influencer marketing platform to connect social media and influencers in marketing contents and brands using blockchain marketing. Though headquartered in Japan, but Patron has already expanded its lion-share operation to the US region. According to Atsushi Hisatsumi, Patron has earned the global visibility by partnership marketing and also with the skill sets in blockchain marketing integrated with influencer marketing. 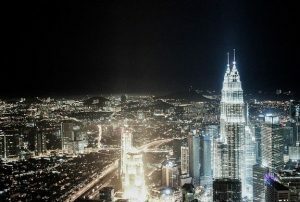 Founded in year 2008 in the heart of Seoul City of South Korea, BMA Creatip is the first blockchain marketing lab in Asia which aims to bridge marketing problems using blockchain technology to serve customers by a range of services, including influencer marketing, paid search, social media marketing, partnership marketing, programmic advertising, viral marketing, video marketing, PR and many more. Not only so, Creatip has the mission of diffusing their marketing expertise and insights thorught the Asian countries such as Japan, Taiwan, Hong Kong and Singapore. Established in 2006, FX Operator uses Forex trading to conduct digital marketing strategies like email marketing, partnership marketing, programmic marketing, PR distributions, paid advertisements, Google Ads PPC marketing, SEO content marketing and also social media marketing. Using the power of blockchain technology, FX Operator also performs trading for B2B and B2C purposes in digital marketing strategies as well. Cathay Pacific in Hong Kong has formed partnership marketing with Accenture to develop an in-house blockchain-based loyalty reward program app named Asia Miles. 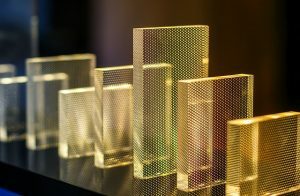 The aim of launching the Asia Miles marketing campaign named “Unlock More Miles” is to maximize customer engagement, better UI and increased effectiveness in operations by allowing members, stakeholders and business partners to be able to navigate the loyalty awards seamlessly and carry out transactions smoothly by keeping track of the user miles achieved. Being the partnership program of Microsoft as well, Asia Miles app is designed to maximize data automation input process by minimizing the back-end headquarters management, which concurrently improves the aviation technology facilities in the customer service aspect. Adding on, Cathay Pacific Airlines is not alone, because CNN News also announced Air Asia in Malaysia having plans to transition the customer loyalty reward programs into BigCoin, which also runs by cryptocurrency. In support of Air Asia’s huge leap of development layout, Air Asia plans to hold ICO to invest into this new project. Moreover, Singapore Airlines also use blockchain to gain trust of customers by developing a blockchain loyalty wallet application for regular customers/ airplane boarders in monitoring the expenditure at the POS (point of sale) at airports convenience outlets and stores. What’s more, Japan airlines, which is Peach Airlines owned by ANA (Japan’s giant airline corporation holdings), has emerged as the first in the country to pay air tickets using Bitcoin. The reason why Peach Airlines belives in the security in Bitcoin air ticket payments is because of the presence of blockchain technology securing the online transactions between flyers and Peach management systems. In digital marketing, CRM is the core value in increasing customer relations based on trust and strengthening brand identity. 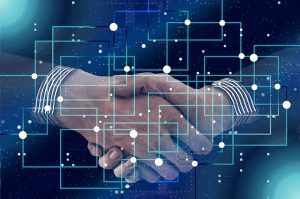 Blockchain marketing has gone beyond the Bitcoin and cryptocurrency terms to make business by being the key to trust and reliance for every business. Blockchain technology is not a problem, it’s a solution! If a business is developed by trust as its pillar, then this company needs blockchain implementation in its service. 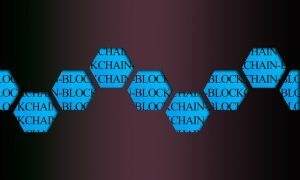 Just like how Internet of Things and Big Data connects all businesses to the society and latest trends in the marketplace, as similar to blockchain functions, but blockchain has one added advantage, which is to add a layer of trust (security assurance) in seeking new technology pursuit. Adding on, only through the implementation of blockchain, a company will have a competitive border to rise from the clutter of companies which offers the same digital marketing service functions in the Asian constituency. Also, blockchain is the means for a company to be its own USP (unique selling point) and be different from direct competitors in the digital marketing field. With the blockchain technology rising up as the black horse in the digital marketing industry, this is indeed a lifetime prospect for every leader to converge into utilizing blockchain technology against the fear of cryptocurrency growth spurt in the economic world.